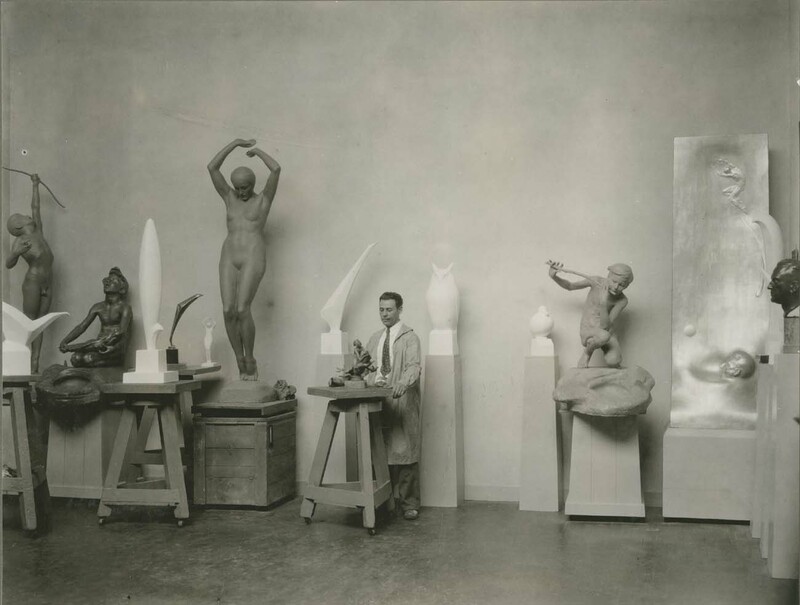 For many children and teenagers growing up on Cape Ann, Art was not something that resided far away, in museums in Boston and New York. Great art was being made in studios down the street or across the cove. Many youths were asked to pose by the great artists that created their art in Rockport and Gloucester. Elana Brink, nee Pistenmaa, was such a teenager. 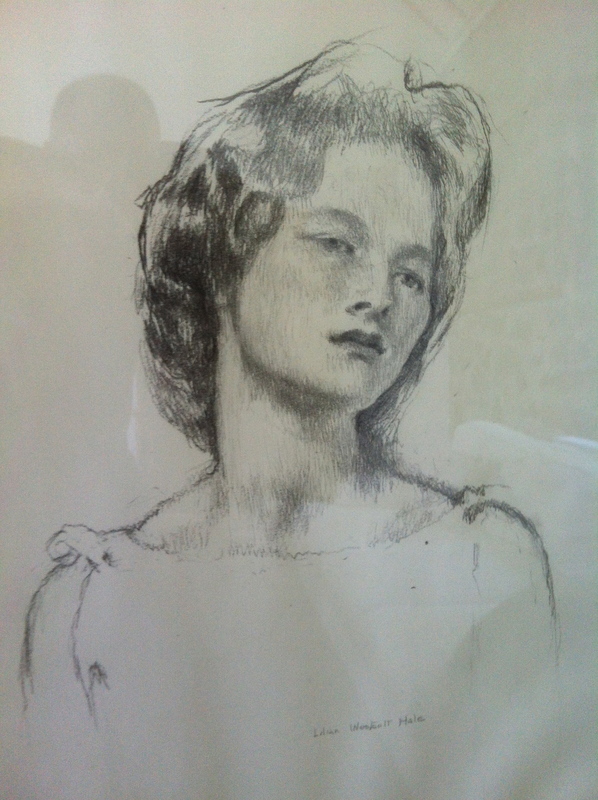 On a recent August afternoon, Elana generously shared her memories of when, at age 17, her portrait was drawn by Lilian Westcott Hale. Lilian Wescott Hale was thought to be one of the best portrait painters of her time. 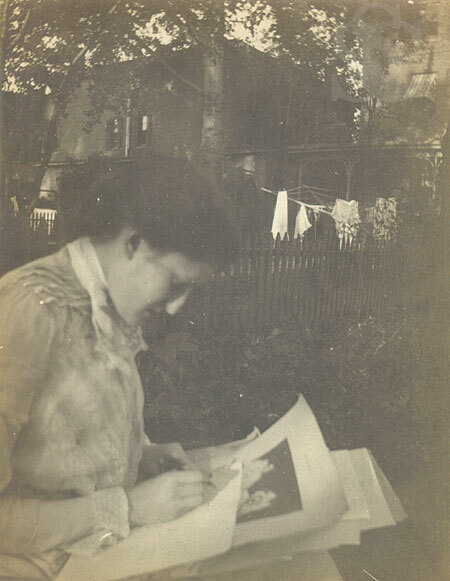 She met her husband Philip Leslie Hale while taking classes at the School of Fine Arts in Boston. 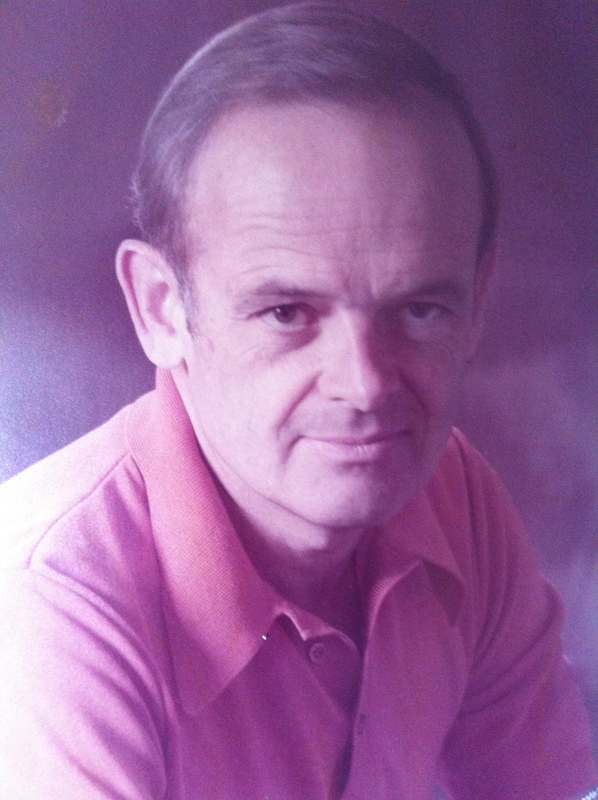 He was her teacher and seventeen years her senior. While Philip studied under Monet at Giverny, Lilian was recognized as the better painter of the two. When viewers admired Philip’s paintings, as he peered over his glasses, his usual reply was, “Wait until you see Mrs. Hale’s paintings.” Lilian’s paintings can be seen at the Harvard University Art Museum in Cambridge, Massachusetts, the Metropolitan Museum of Art in New York City, the Phillips Collection in Washington, D.C., the Museum of Fine Arts in Boston, and the Farnsworth Art Museum in Rockland, Maine. Elana’s family was no stranger to great artists. 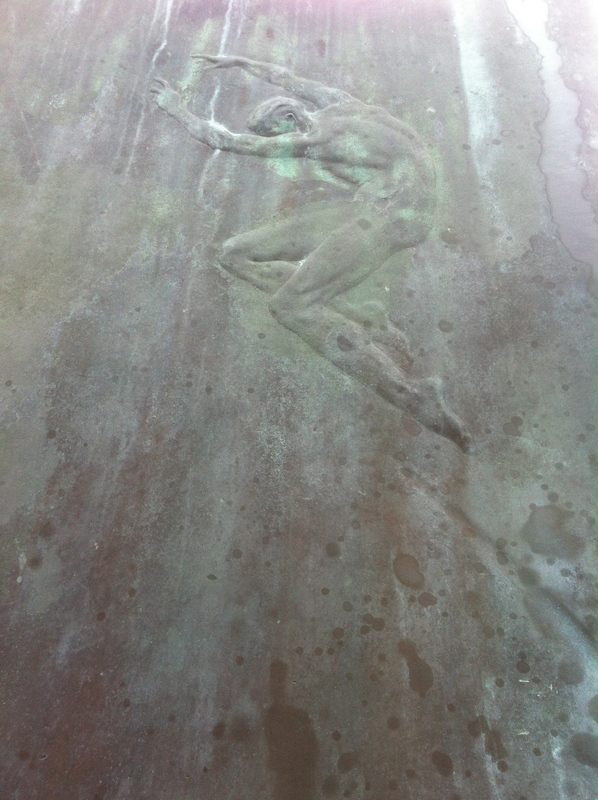 Elana’s father, when he was a teen, was immortalized as “The Diver” by the sculptor Walker Hancock. For Elana, growing up among artists was nothing remarkable. She remembers meeting “so many artists” and only later recognized that quite a few of them were famous. Elana and her father are part of a long legacy of artists drawing their inspiration from not only Cape Ann’s landscape, but from its people. Those who live in glass houses . . .
. . . should not throw stones. 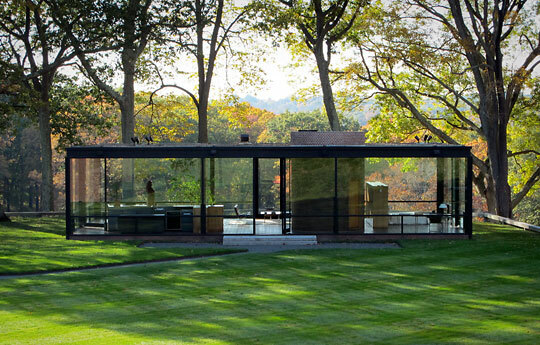 In 1949, the architect Philip Johnson built a glass house in New Caanan, Connecticut. This house was so far ahead of it’s time that it is still shockingly modern today. I recently had the opportunity to visit this house on the occasion of a milestone birthday (we won’t say which one). 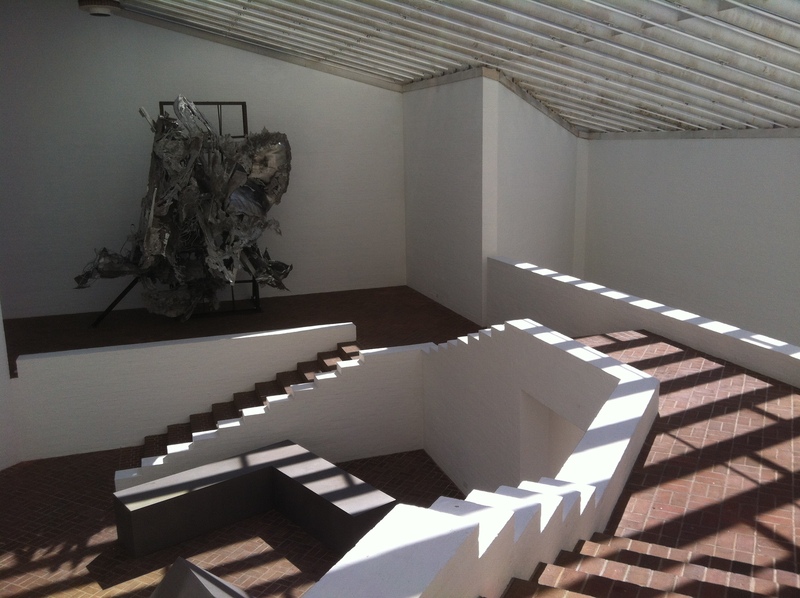 I have had a yen to see Johnson’s Glass House since it was donated to The National Historic Preservation Trust in 2007. It is now open to the public for very small groups to tour. An architect known for his many smart one liners, Philip Johnson was a cultivator of self promotion and sound bites long before they became de rigeur. He called Frank Lloyd Wright, “the greatest architect of the eighteenth century.” Phillip was also an enigma. For a time before World War II and the full horrors of the Nazis were known, he was an admirer of Hitler. It may have been the extreme order and the hyper-masculine uniforms that drew him in. This, while he was carrying on an intimate relationship with Jimmie Daniels, a black night club owner/entertainer in Harlem. As a kind of atonement for his flirtation with fascism, he later designed a synagogue in Port Chester, New York for no fee. 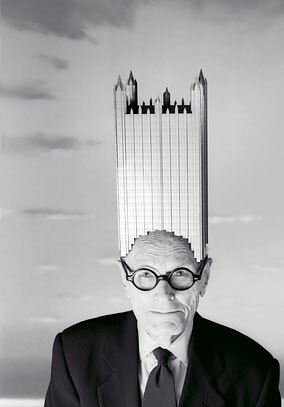 Even with all of Philip Johnson’s foibles, both in his personal and professional lives, he did make a major mark on modern architecture and art. He was responsible for introducing Andy Warhol and Mark Rothko to the Museum of Modern Art, of which he was also a board member. His way-ahead-of-his-time architectural designs were cutting edge and some have stood the test of time, the true measure of an architect’s work. All of them pale to the glass house in purity of design and visual beauty. Even though some of the buildings on the forty-five acres are almost Dr. Suess cartoonish in nature, the property showcases his widely divergent creativity. 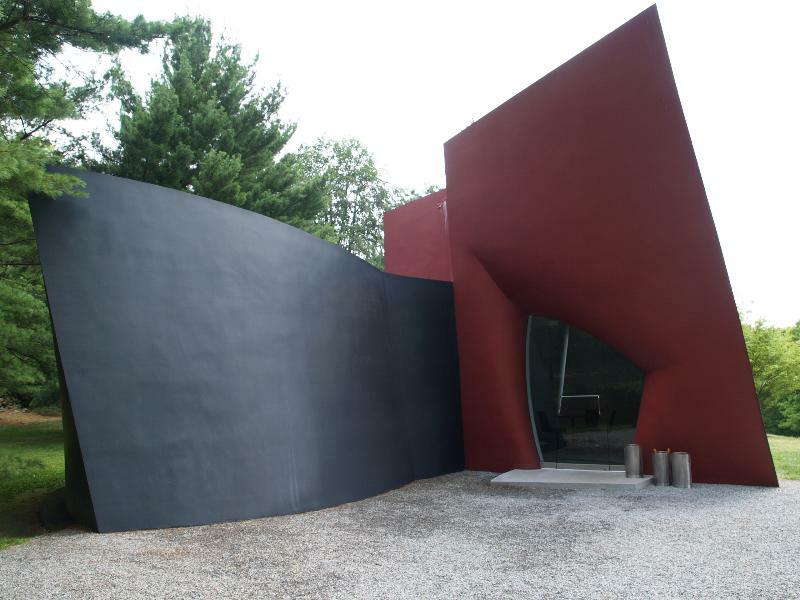 Sitting in his magnificent house, Philip Johnson tossed about many a verbal stone. So . . . maybe you can live in a glass house AND throw stones. The time-worn way of zipping up a house when you tire of the look is to redecorate — move the furniture around, replace the curtains, or change the paint colors. 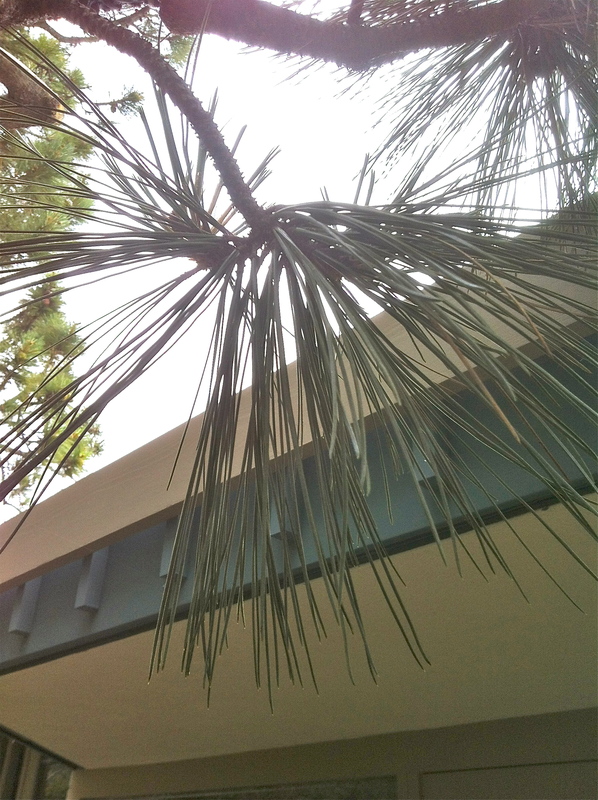 Why not approach it from a different angle and add some unusual architectural elements? 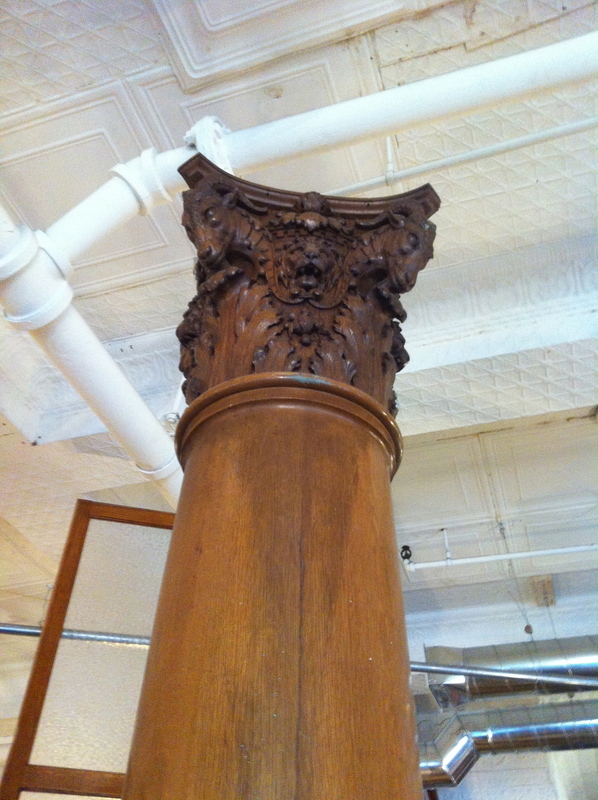 There are a myriad of online sources available to purchase new pilasters, columns, doors, fireplace surrounds, mantels, etc. They are all fine but without professionally distressing them they still look, well . . . . new. 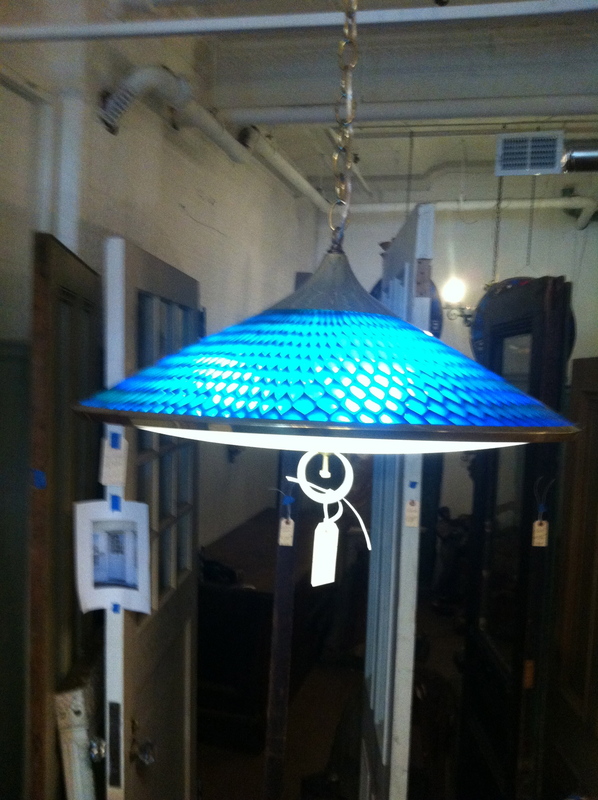 There is nothing like vintage items to bring depth and layers to a house. 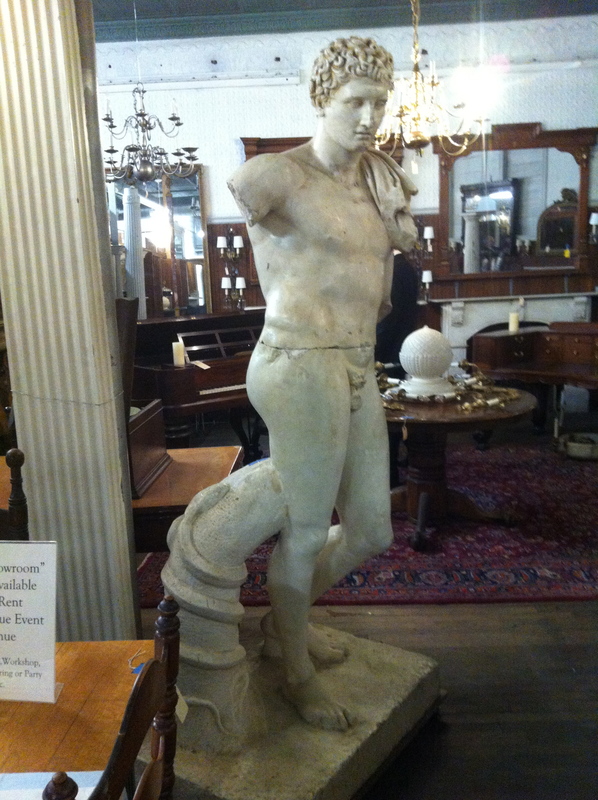 An architectural salvage yard is just the ticket to find that one-of-a-kind feature that stands apart and tells a story. 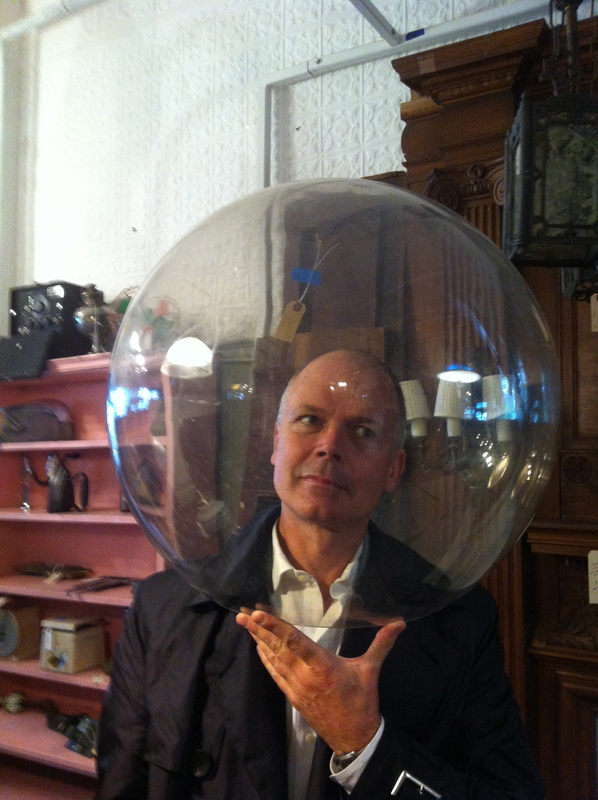 Recently, I had the opportunity to visit three such establishments in New England. If you desire quirky architectural object d’art, the eye candy that these places provide is almost better than a trip to a museum. And, even better, you can buy the stuff you fall in love with. Try that at the Metropolitan Museum of Art or the Louvre. Most of the objects have been removed from houses that are to be torn down or remodeled. Re-purposing them for another life keeps beautiful things out of the landfill and is “green” to boot. 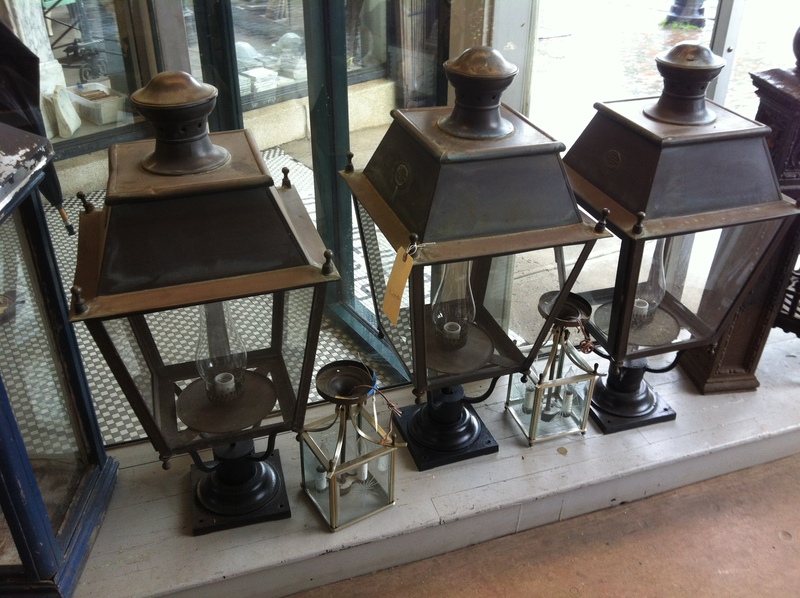 You will feel down right self righteous bringing home one of these treasures to grace your home. Here are a few items that you will never find duplicated by a neighbor who shops at Target. 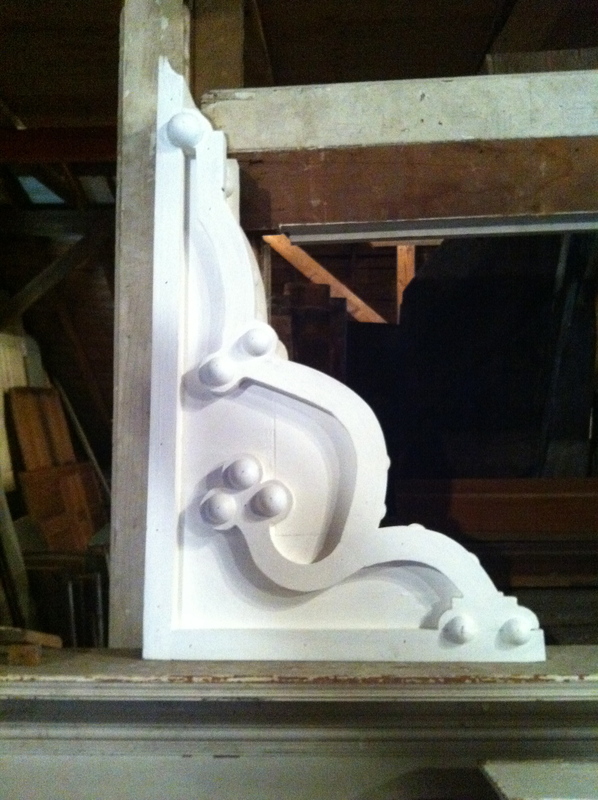 Links to some New England salvage yards: Restoration Resources, Nor’East Architectural Salvage, and Architectural Salvage, Inc. When most East Coasters think of California, we think of Hollywood, the beaches of LA or perhaps foggy San Francisco, that city by the bay. The high desert area of Southern California does not spring to mind. 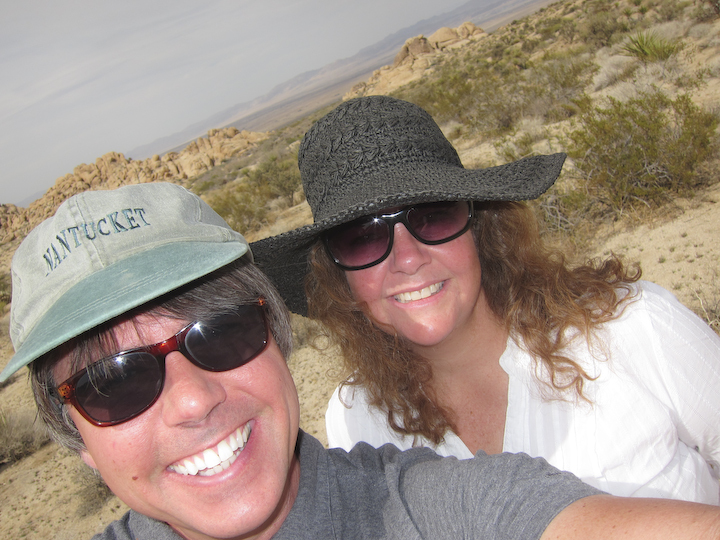 On a recent trip to visit some friends who have moved to Joshua Tree, California, we got to experience the “other” California. It is far, far away from Disneyland, though it does bear some resemblance to Roadrunner of Looney Tunes fame (beep beep). Our friends Gail and Doug have long been enamored with the wild and raw and most assuredly untamed beauty of the area. They purchased a real fixer upper and dug in, literally. 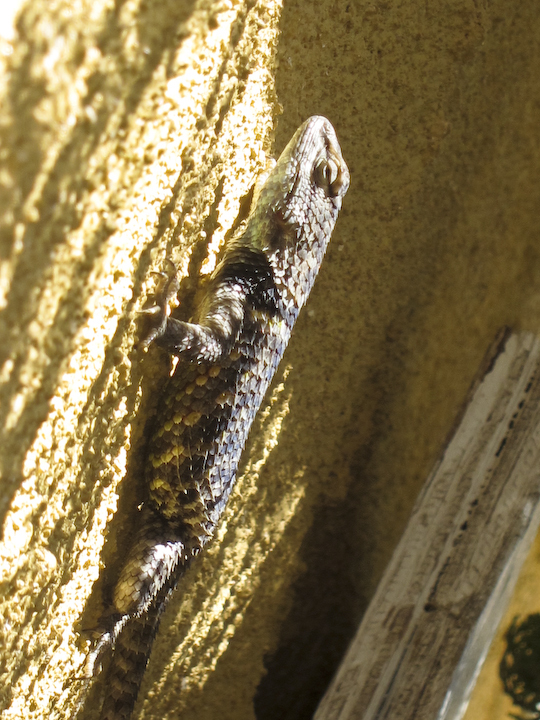 As summer approaches in the high desert, the daytime temperatures can soar into the 100s and the rattlesnakes search out cool spots, like the concrete slab floor on which the house is built. The first plan of action was to seal up the points of entry for the rattlers and scorpions, also abundant in the area and wanting in. 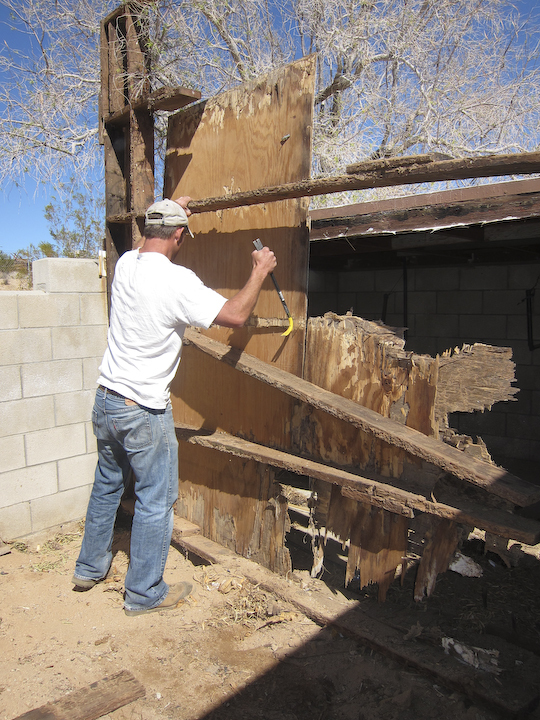 As Gail climbed out of a huge rented pickup trip full of building supplies, she wryly noted, “I am so far out of my comfort zone.” Our work party of four pitched in and began to bring a sense of civilization to the desert. The house they purchased was originally part of the last of the Homestead Acts passed by Congress in 1938. 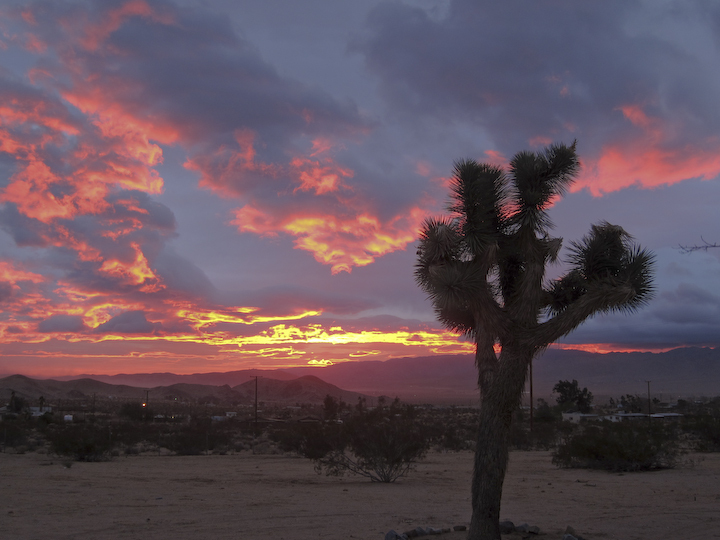 The Act was designed as a non-agricultural way to entice settlers to the area, which sits on the edge of the Mojave desert. The five acre plots were cheap and buyers were required to build a house on the land. WWII intervened and, with gas rationing and the difficulty in getting to the far flung desert area, few houses were built. That all began to change by the end of the war. By the mid-1940s, houses began to spring up on the five acre plots. Most of them were quite small, some in the 400 square foot range. Gail and Doug’s house has been added onto over the intervening years and is now a three-bedroom, two-bath house. Some of the additions are unsympathetic to the whole and their goal is to unify them into a cohesive unit while retaining the enticingly quirky aspects of the home. They have begun to work toward that goal and have already sheet rocked walls and ceilings, removed nasty wall-to-wall carpeting, gutted the kitchen, and color stained and sealed the now exposed concrete floors. The dark pressed-wood Georgia Pacific paneling in one room has still yet to come down. I am itching to take a pry bar to it. Having removed this type of paneling before on another project, I can attest that peeling off the sheets gives instant and enormous gratification. Gail and Doug have promised me that they will leave that pleasure to me for our next visit. The roof has recently been snow coated (no, not that kind of snow but rather a coating of white material that is waterproof and reflects the light to keep the house cooler). Snow Coat is an acrylic polymer elastometric roof emulsion which is applied with a roller or push broom. Gail has a sea of blisters on her hands after the roof coating DIY project. A ‘swamp cooler’ has also been installed. This term always makes me smile as there is no swamp anywhere near the Mojave Desert. 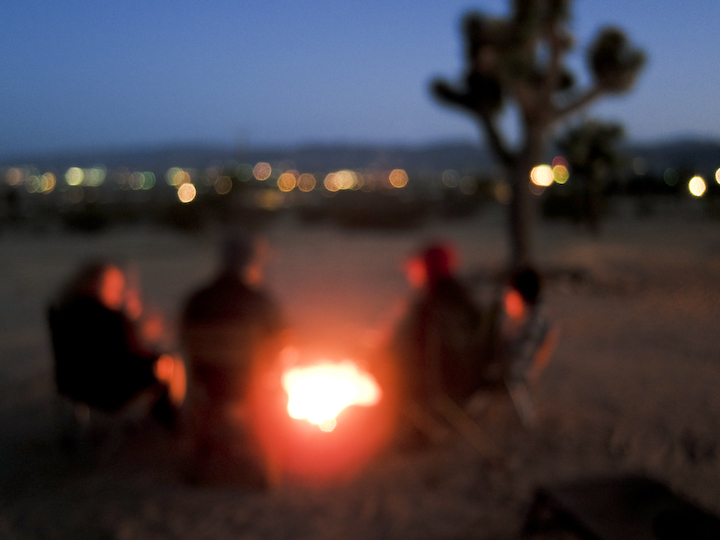 Swamp coolers are often used in the desert as a less costly alternative to air conditioning. Swamp coolers are in effect water towers that blow air across water saturated cellulose pads that in turn cool the air and add moisture, much needed to keep that dewy, youthful complexion upon which the desert can wreak havoc. A trip up to the high desert feels very much like a trek to a wild and woolly place, full of harsh realities paired with sublime beauty. It quickly becomes obvious why Gail and Doug have chosen to become pioneers, carving out and creating a place to call home that they hopefully will not have to share with the creatures of the desert. Our friend Doug is a professional photographer. Check out his amazing work at his website www.unknownforces.com. 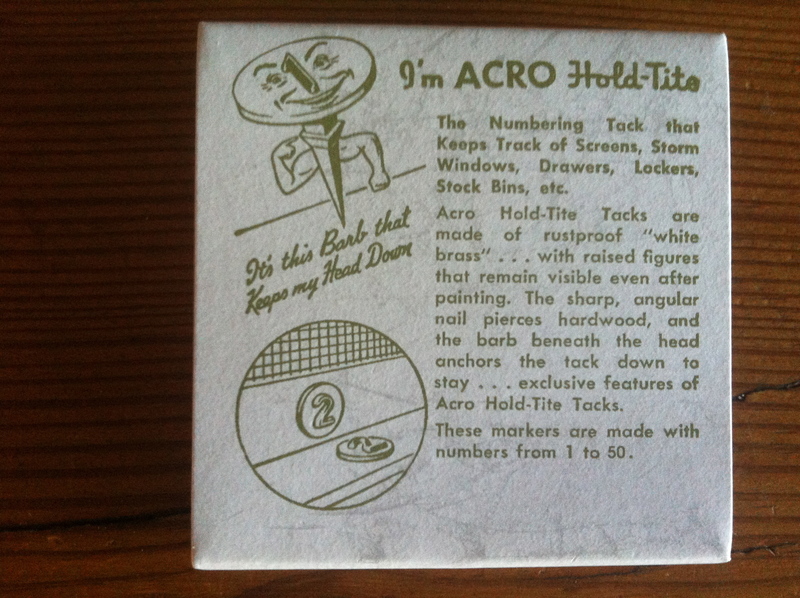 Great old time inventions are sometimes the simplest and the best for solving modern day problems. 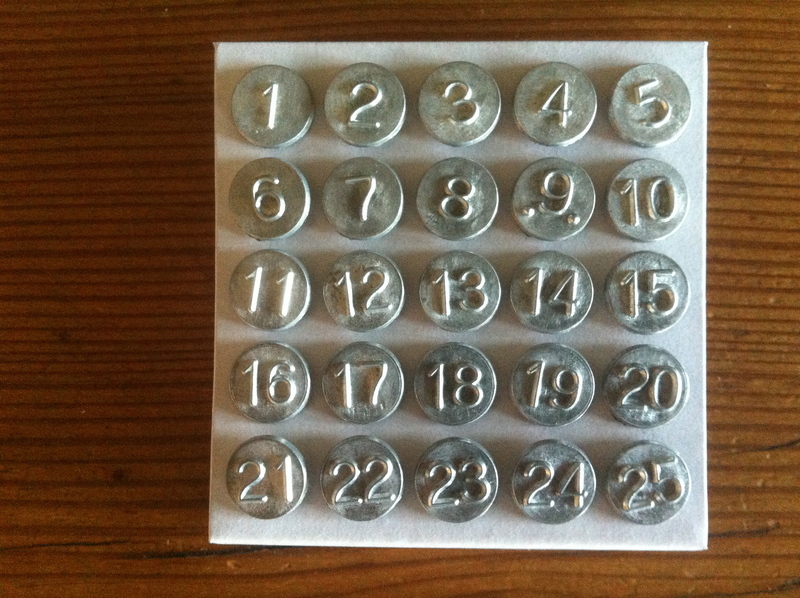 These zinc numbered tacks for the organization of storm windows and screens are a shining example. Trying to keep track of a slew of storms and screens, all of varying sizes and shapes, for the twice yearly changeout on a large hundred year old house is a daunting task. This numbering system makes the job much less odious. These little unobtrusive gems get attached in three spots. One on the inside of the window frame in an inconspicuous spot, one on the storm window, and one on the screen. No more guessing about which screen or storm goes where while juggling the cumbersome piece in your hand. The original screens and storms had Roman numerals incised into the frames, but not only did they all not match up to the existing windows, they did not correspond to any markings on the window frames. The time had arrived for a new system. Climbing ladders to accomplish the change out also was a system that needed to be updated. I devised a plan that would enable the storms and screens to be swapped out from the inside of the house. The storm or screen is slotted into a groove on the top of the outside of the window frame, the bottom pulled toward you from the inside and then latched down into place with a lever. Gone are the days of wrestling with the two story ladder and the feel of scaling Mount Everest with a large and heavy storm window in one hand and groping for a handhold with the other. Add the possibility of a gust of wind to catch the storm window and send it flying out of your hand and the task seemed fraught with peril. Now all of the change out can be accomplished from the safety of the inside of the house. Why not just replace all of the windows with new ones to avoid all this you ask? The desire to keep the old European style windows which open inward, and add so much to the charm of the house, over ruled. 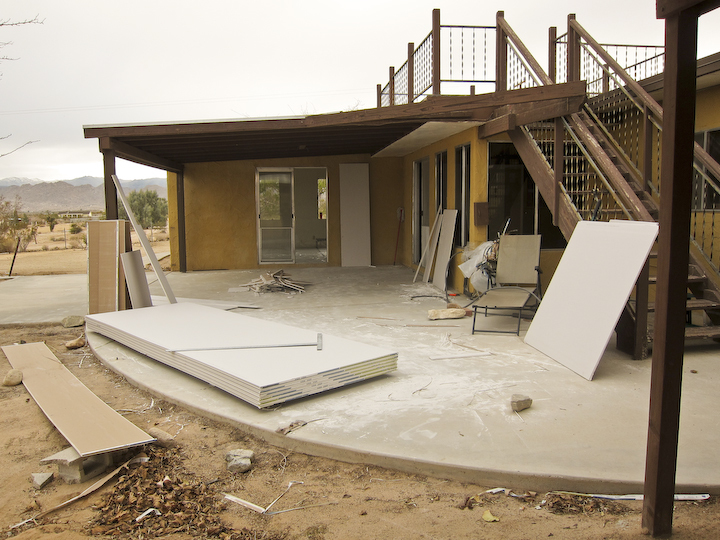 Have you ever looked at a recently remodeled old house and thought, something just does not look right about it? It is usually the new windows that are wrong for the period of the house. We wanted to avoid that. Trotting out an old invention for a solution to a problem on an old house just felt right. 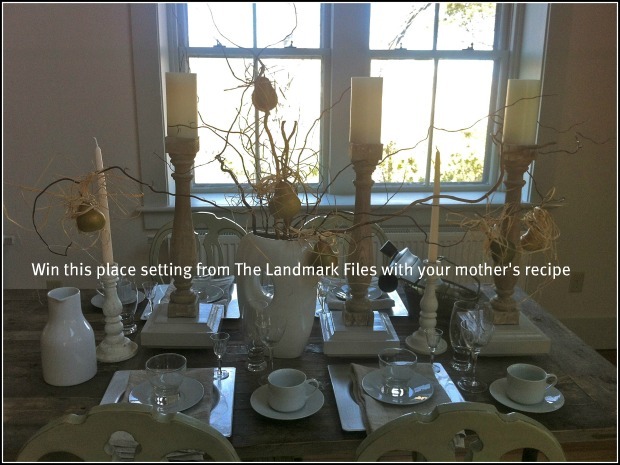 The winner of the eclectic table setting from the Mother’s Day contest is Sandy Farrell. When you read her “recipe” below, you will know why. Ahead of our “judges conclave,” as we called it, Heather of heatheratwood.com, and brainchild of the contest, sent me all of the entries so that we would enter into the decision making process well read. While we were arranging the meeting to pick the winner, we confessed that we each had a clear favorite. We decided not to reveal our individual choices to each other until our conclave. Within less than five minutes after sitting down with all of the printed entries, we realized that we had both picked the same entry. We hope you enjoy reading this as much as we did. We had some other terrific entries. Watch Heather’s site for a dozen or so of our favorites picked from the pile. The gifts from my mother remain as intangibles — no recipe box, no heirloom dish set for the holidays, no special linens rich with memory and smell- but a different treasury that is very special to me. My mother died when I was 10, she was smiling at lunchtime and gone by the time I returned home from grammar school at 3 pm. Met by my father, silent and in shock, sitting on the stairs bracing himself for the task of telling his three young daughters that their mother was gone forever. We didn’t live with dad, my parents were separated and lived as polar opposites in their own Cold War of the 1950s. 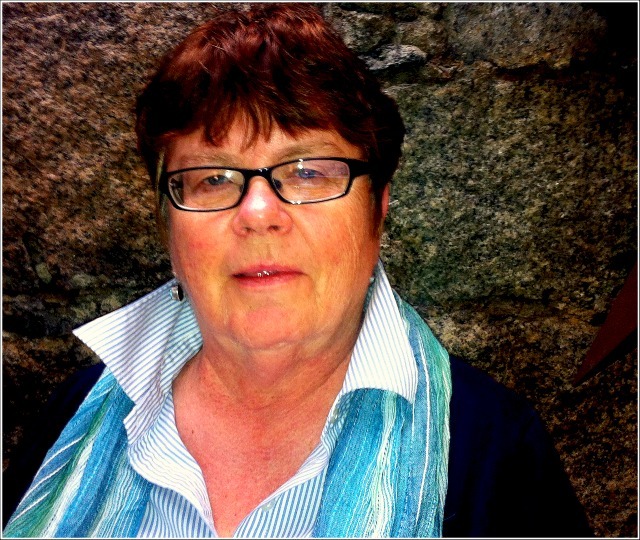 Belonging to that 25% of New England, the Anglo-Irish mix had torn apart their marriage from the start. We lived with an aunt and cooked out of her borrowed kitchen. It was the Mamie Eisenhower era, years before Jackie Kennedy and Julia Child would give us a different view on the world. This may sound bleak, but what I inherited was an appreciation that came only much later in life: the innovative spirit my mother possessed. And in order to feel that appreciation I had to first distance myself with all of the hurt and anger that a ten year old girl could muster up to protect herself from such a loss. 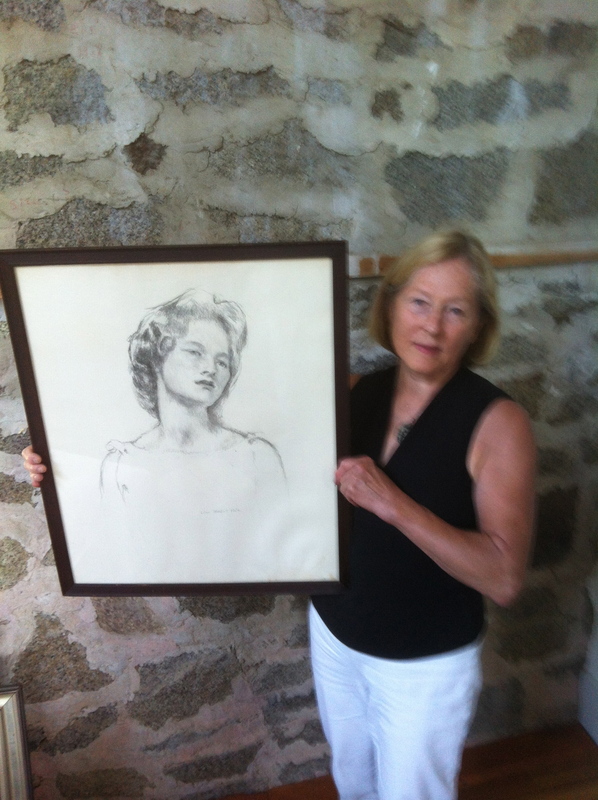 My mother had wanted to be an artist — and indeed was an artist. 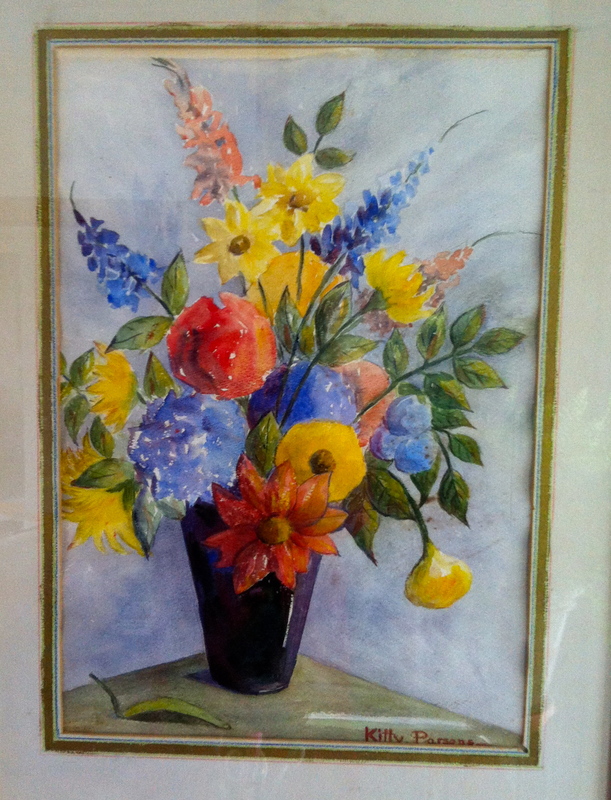 I have a beautiful charcoal she did at 14, and pastels done on the back of leftover wallpaper, weekly trips to the art museum on free Saturday mornings, and walks to the park for concerts. The local librarian told me they gave her an adult library card because she had read so much of the children’s library. She had trained as a nurse but the hours were too long for a mom with three little girls so she took a job as a waitress at a small neighborhood restaurant. Never one to get caught up in recipes, or own many cookbooks, she would scan the fridge for content and swiftly make a decisive move, gather up an armful of ingredients and proceed to the counter. Tasks that took longer got started earlier, missing ingredients were replaced by substitutes, efficient peeling and chopping began, each of us assigned a specific job, taught the basic skills, not a moment or veg wasted, no tears, perseveration, hesitation, or remorse. Supper, plain and simple, quickly executed like a Zen master. First thought, best thought. Never the same river nor stew twice. Even today, some fifty-plus years later these basic ingredients and recipe for life bless our kitchen. Cooking is fun, it’s relaxing and creative. I still come home from work and have supper on the table in less than thirty minutes. Repeat last weeks dish? Never. No need, mom taught me more than how to cook up supper. 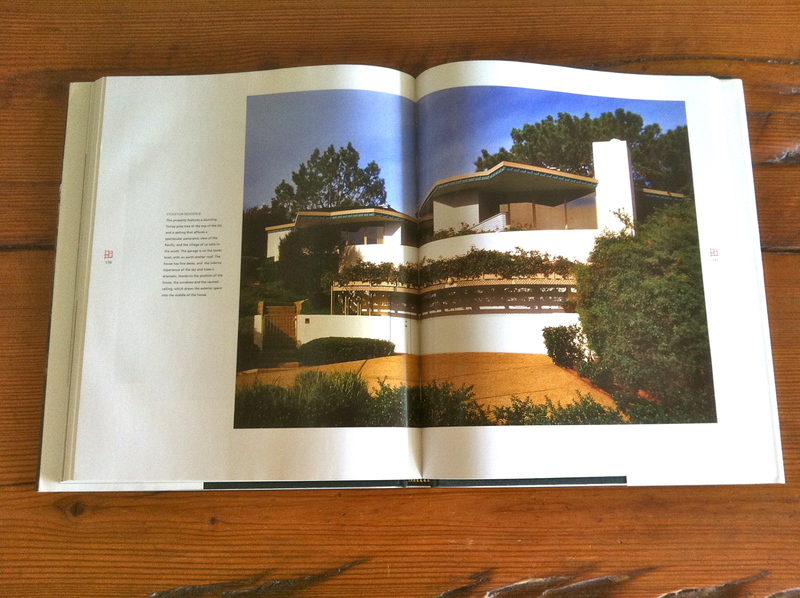 In honor of mother’s day, a look at my mother’s house in Del Mar, California felt fitting. The house is a modern architectural gem, full of angles, patios off every room, walls of plate glass and vistas of the California coastline. When my parents retired and began looking at places to build their dream house, they settled upon Del Mar after exploring Austin, Texas and Carmel, California. As my mother recounts, Austin was too hot, Carmel too cold, but Del Mar was just right. The lot they found was a very steep one graced with a massive old Torrey pine tree at the top with swoopingly dramatic branches like a piece of sculpture. Views abound of the Pacific Ocean below and the town of La Jolla across the Los Penasquitos lagoon. My father’s room mate at West Point, Herbert Turner, became a designer of buildings instead of pursuing a career in the military. 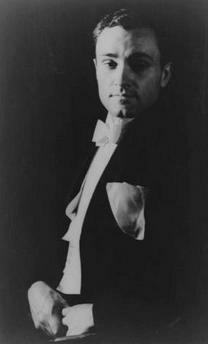 He studied architecture with John Lloyd Wright, Frank Lloyd Wright’s son. 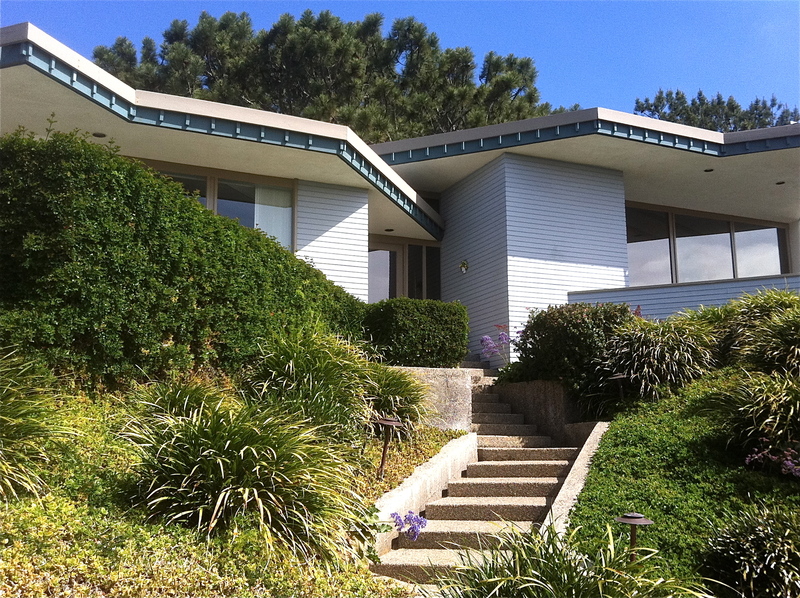 Herb’s houses are decidedly California modern in style and incorporate many Wrightian features. 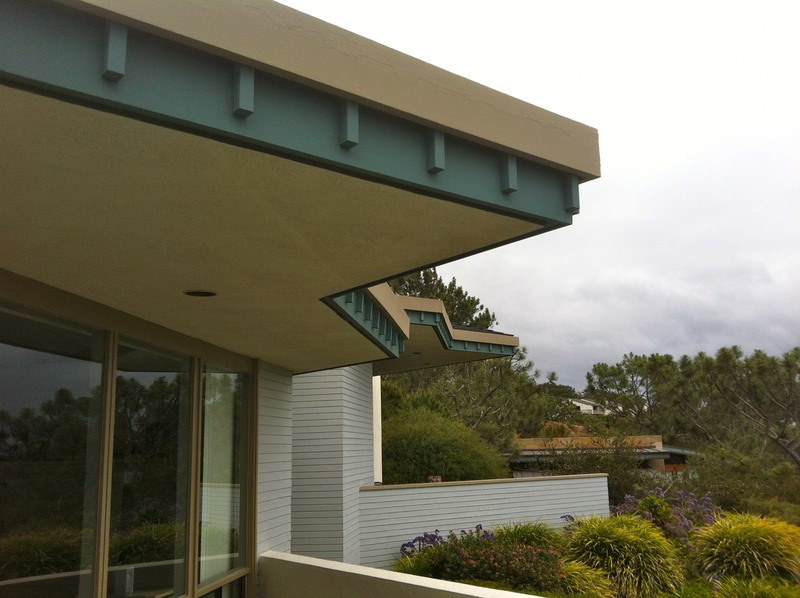 Dentil molding, using outside siding materials inside, and bringing the outside in are all features of Wright’s style that Herb Turner re-tooled for the California coast. Once the empty lot was found, a scarcity in the area, Herb Turner drew up plans for the challenging steep hillside lot. The garage was placed on the lower level and the house situated above and behind it. A challenge was, how to get from the garage up into the house without climbing many steps? As my parents planned to live in this house for the remainder of their lives, an elevator was placed at the back end of the garage, which carries you up to the living room, two stories above. Ground was broken for the construction just as my father discovered that he had cancer. 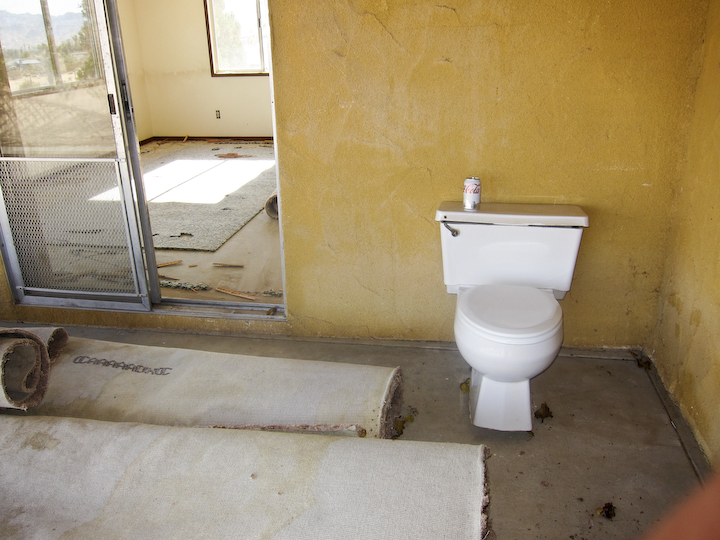 Unfortunately, he never saw his dream house completed. Single handedly, my mother moved forward with the project. Although I lived three thousand miles away, I helped as much as I could. The end result is a stunner of a house which fits the lot and is in perfect scale with its surroundings, which so few new homes are these days. Designed for just the two of them, it is not large but has a spacious feel when inside. The living, dining and kitchen areas take up one side of the house. The ceilings there are two stories and give the spaces a sense of drama. The bedrooms, baths and laundry room are on the other side of the house with lower ceilings for a more intimate feel. These two spaces feel separate and are divided by a wide galleria which runs the entire depth of the house. It also doubles as a large, high ceilinged entry hall. The walls of the galleria are hung with artwork collected over the years, including a painting by Herb Turner. My mother Wootsie (nicknames abound in my family), proper name Margaret, has happily lived in this house for over twenty years now. 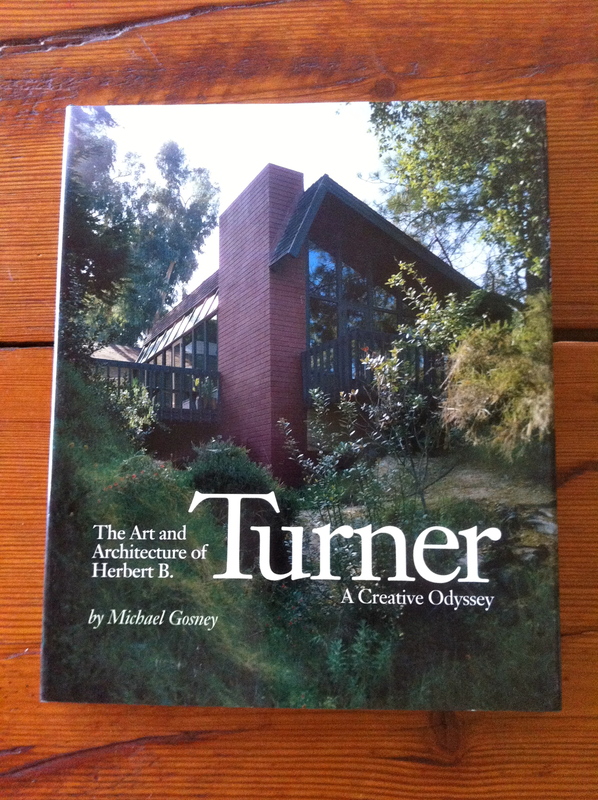 The house has been featured in newspaper articles and is featured prominently in the book Art and Architecture of Herbert B. Turner. While my father Tom never saw his dream realized, this house above the Pacific serves as a fitting capstone to the adventurous years of my parents’ life together. Sometimes, a problem is so big, it calls for a big, loud and growling solution. Such was the case recently at Howlets. 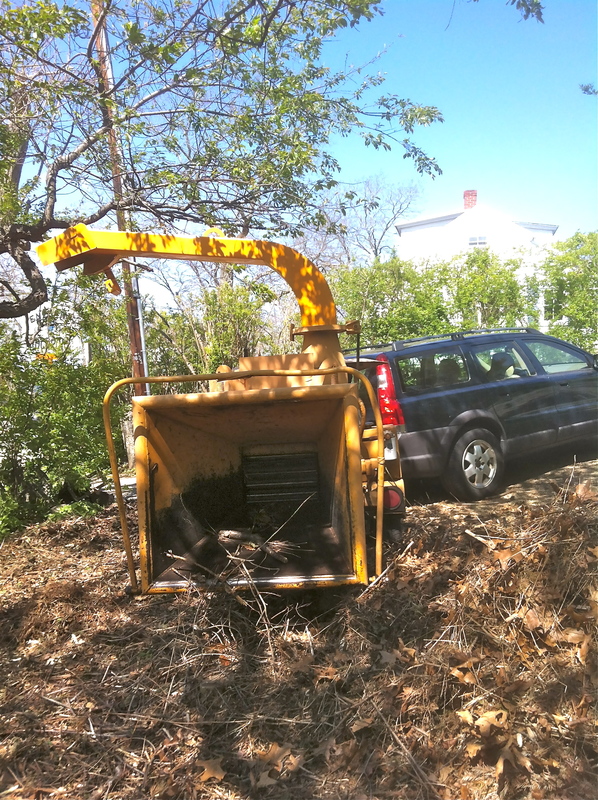 After two large trees were taken down and a long-forgotten kitchen garden was cleared of years of unchecked growth, we were faced with a 10-foot high pile of brush filling the parking spaces for two cars. As readers of this blog know, Howlets is a 100 year old stone house overlooking Folly Cove in Rockport, Massachusetts, purchased last year by friends David and Heather. The grounds of the property had unfortunately been neglected, save for the lawns being mowed. David and Heather and I hashed out a plan to “take back” the grounds. David has been digging up the kitchen garden of briars, saplings and other unwanted volunteer growth — and he has the scratches on his arms to prove it. Heather has been weeding, replanting and restructuring a long narrow garden bed which hugs a sweeping stone wall. Two old, half-dead locust trees were removed by a professional tree service and the usable wood cut into fireplace lengths. Some of the remaining crowns of the large trees were thrown on the ever-growing pile. A parking spot for two cars at the bottom of the driveway had been sacrificed for the woody detritus that seemed to grow exponentially. Once Spring had sprung, how to get rid of the eyesore was on all of our minds. 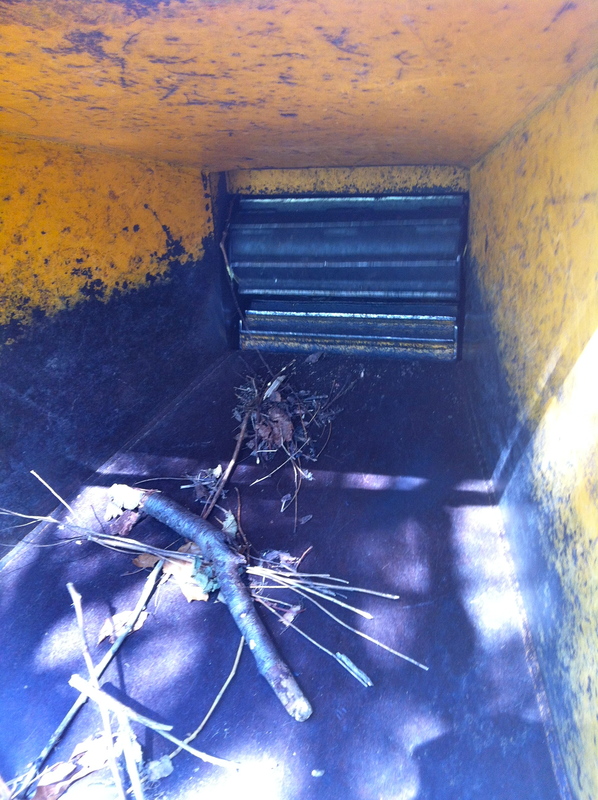 A wood chipper, of course! What is it about men and their fascination with power equipment? Boys and their toys, I suppose? As I excitedly drove off to hitch up the rented wood chipper to my station wagon, I tried not to focus on the Freudian answer to that question. The yellow beast was much larger than I imagined, and as I got a quick lesson on the intricacies of its operation from the rental agent, nagging thoughts of performance anxiety began to rear their ugly head. All fears were put to rest as the engine sputtered to life and began to chew up pieces of wood as big as my arm. 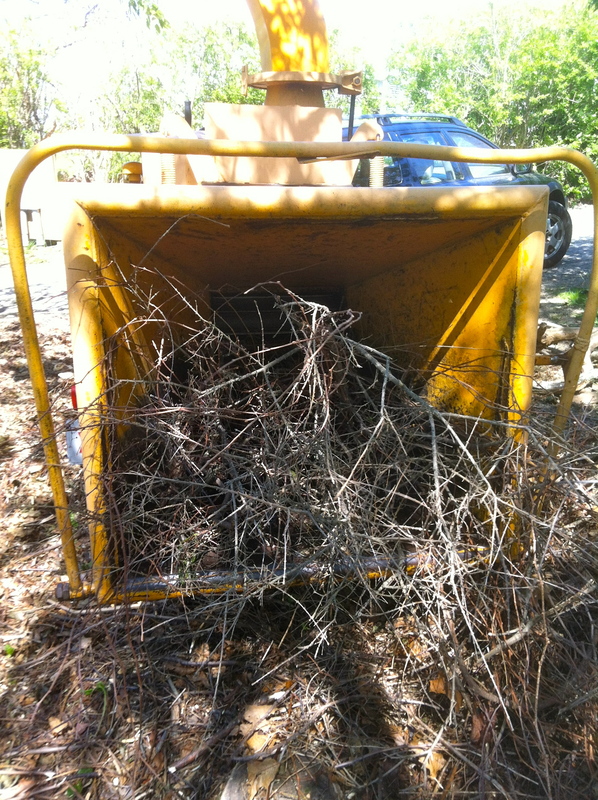 During the course of the six hours that it took to work through the pile, we watched the beast’s revolving sharp teeth pull the branches into the grinder, conjuring images from gory movies (Fargo, anyone?). The possibility of drawing back a bloody stump kept both David and me hyper vigilant. Fortunately, no ambulance trips to the emergency room were necessary and the woody mountain we called Everest was finally conquered. Sir Edmond Hillary had nothing on us that day, at least in our own minds. Mother’s Day is on the horizon. Friend and fellow blogger Heather Atwood and I were brainstorming about a creative way to honor all mothers. 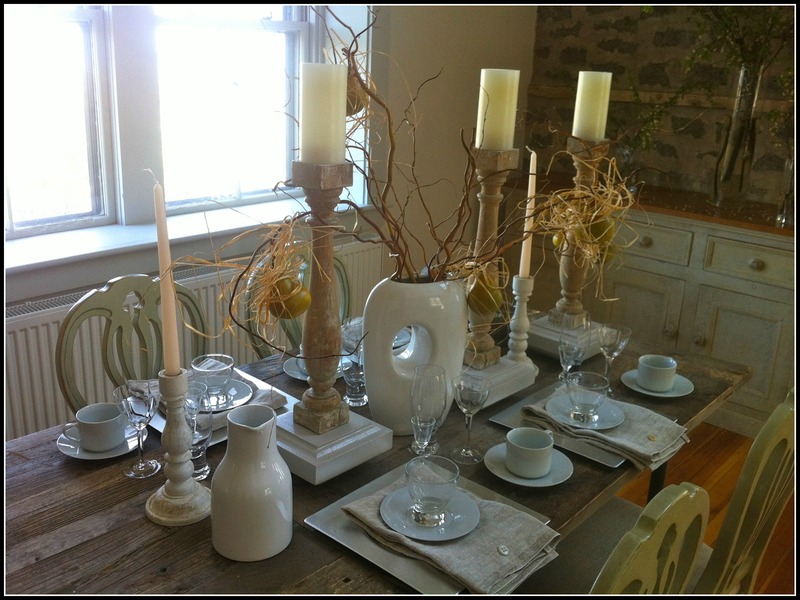 Our answer was a knock out table setting, whipped up by me, and an equally tantalizing dessert recipe suggested by Heather. Heather is the food writer extraordinaire behind the food column Food for Thought and blog heatheratwood.com. By submitting a favorite memory and recipe of your own mother, you can win this table setting. For contest details and lots more photos of the setting, check out Heather’s website at heatheratwood.com. The dessert table setting for four has a lofty set of three candlesticks which I crafted from vintage Victorian ballustrades. Combined with a mid-century modern vase and a white/creme/grey color palate for the accessories, this highly eclectic mis en scene will fill the eye. Save room for dessert. 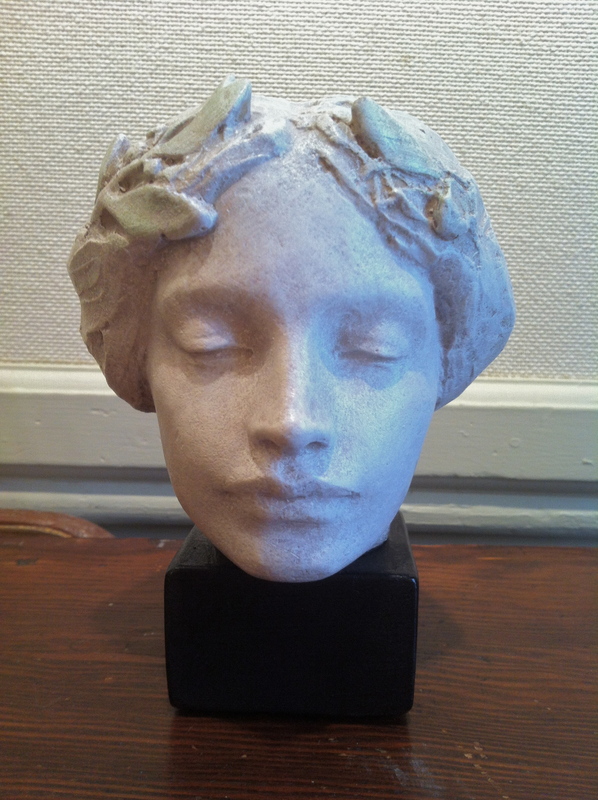 This post is part of a continuing series on Cape Ann artists, their studios and work. Scattered throughout the old village of Rockport, Massachusetts are studios of famous and not-so-famous artists. 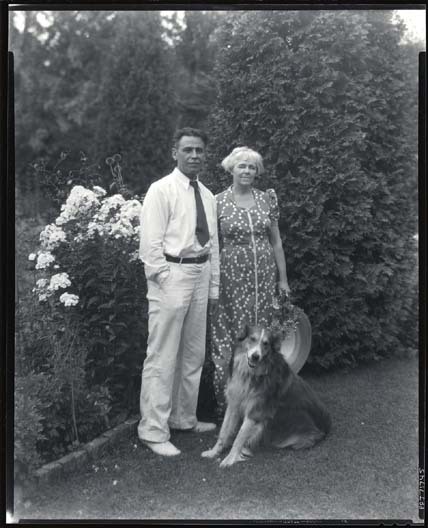 Richard Recchia and Kitty Parsons Recchia had a home and studio there. 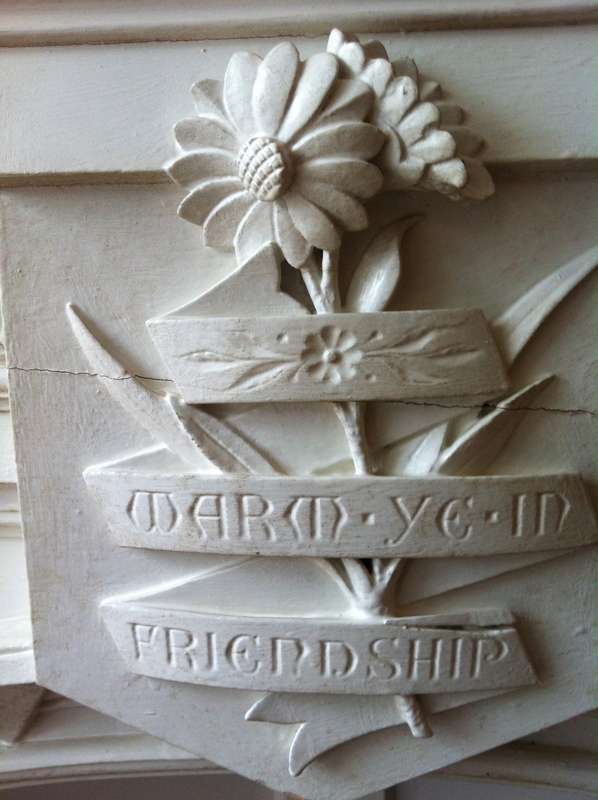 Richard was a sculptor and Kitty was a watercolorist and poetess. 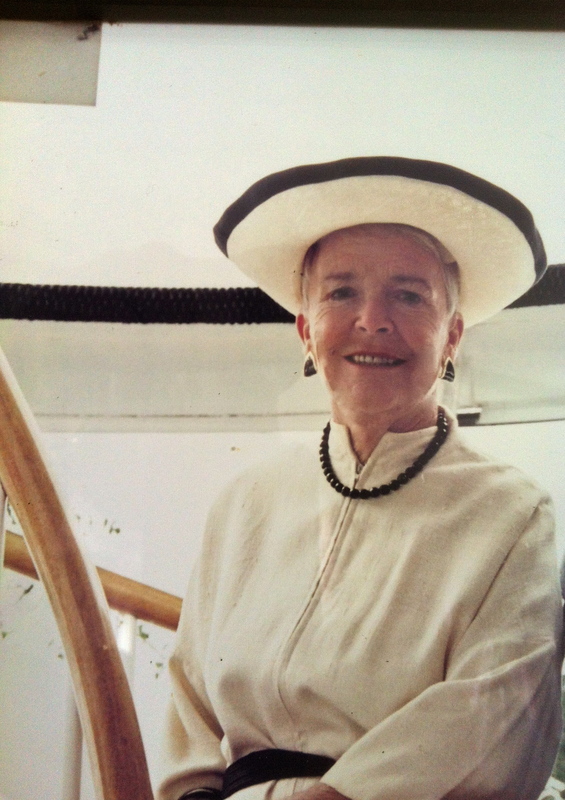 Kitty was a founding member of the Rockport Art Association in 1920. You may recognize some of Richard’s work that are on public display in New England. His friezes, depicting “Art” and “Architecture,” done in a Greek style, adorn the Fenway side of the Museum of Fine Arts in Boston. 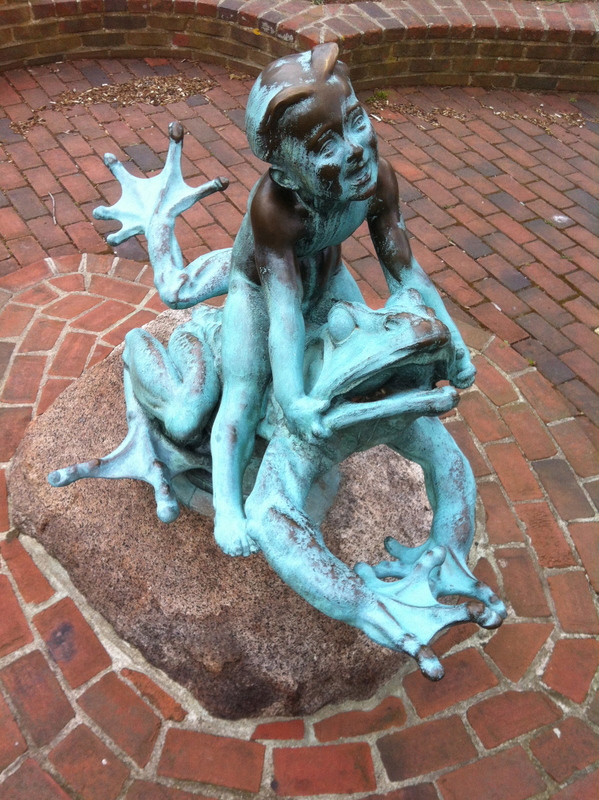 A joyfully whimsical boy riding a frog is in a pocket park beside the Rockport Art Association and a woman executed in bronze, on the verge of diving, is in the inner courtyard of the Association. The diver was originally placed near their studio under a magnolia tree. When the blossoms began to fall, they created a pool of petals below, creating the illusion that she was diving into a pond of pink petals. Recchia’s statue of the Revolutionary War General John Stark astride a fiery steed graces Stark Park in Manchester, New Hampshire near the equestrian’s burial site. The Association and the Museum of Fine Arts have permission to reproduce some of his smaller pieces and they are occasionally available for sale. Kitty’s watercolors are more difficult to find on public display. 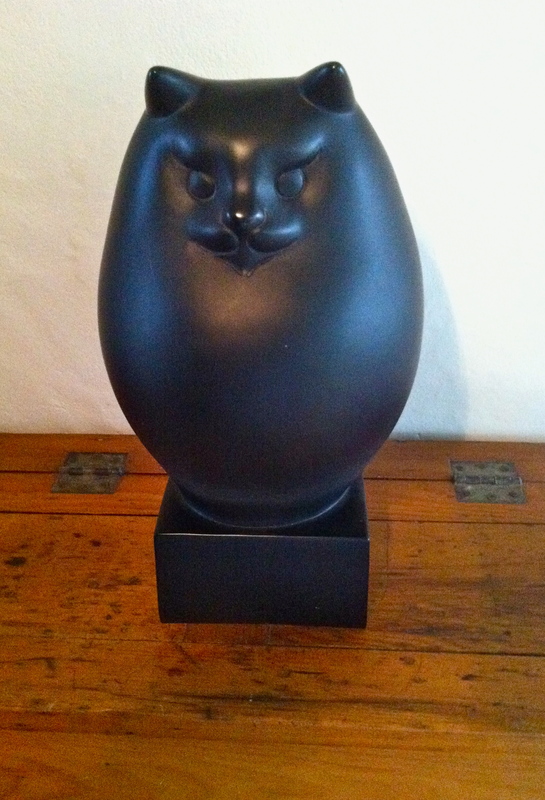 However, I have included two examples from a private collection below. Richard and Kitty’s house and studio are Dutch Colonial in style with sweeping end gables, which give it a flair. 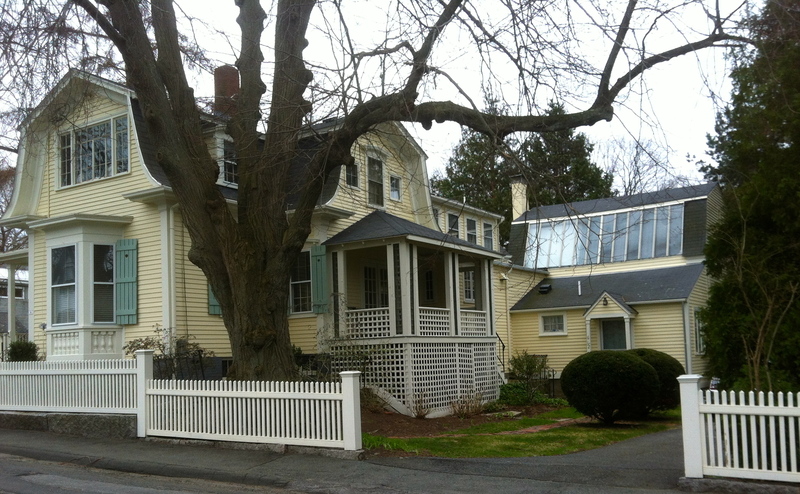 Dutch Colonial architecture was not widely used on Cape Ann so the house stands out. The house, grounds and studio, although in a neighborhood setting, have a mini estate feel, complete with gazebo. They named the house and studio, Hardscrabble. Their early years of the struggling artists’ life were perhaps the inspiration for the name. 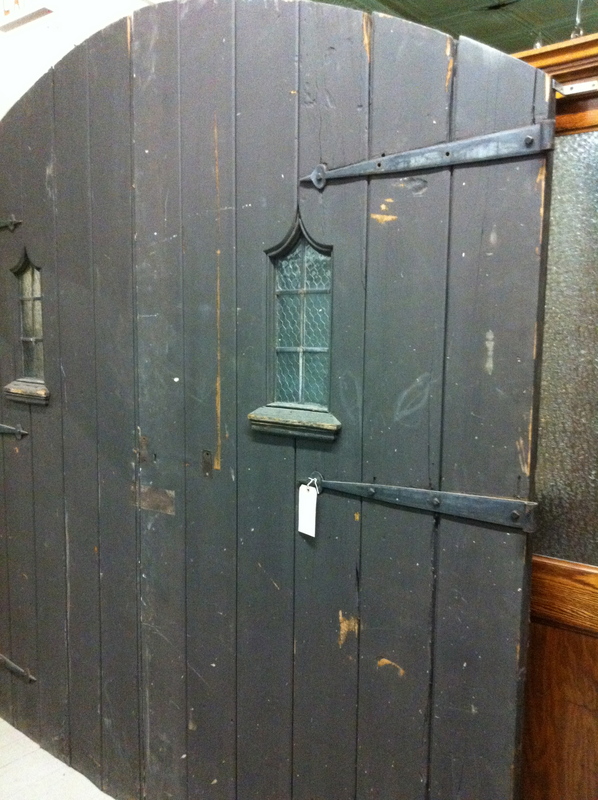 The old artists-colony-style studio’s large metal framed windows that are inset into the Dutch style gable of the roof give clues to what lies within. 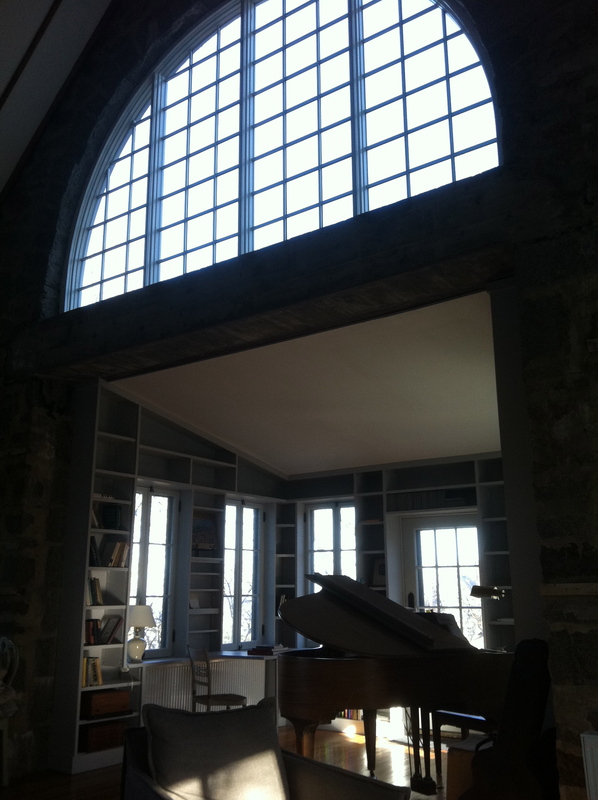 The studio ceiling is two stories high with a huge arched doorway to the outside to accommodate the large sculptures that Richard executed in the space. Thankfully, both structures remain intact, although the studio was converted to a living space and both the house and studio were sold out of the family after their deaths. Richard had the foresight to design his own tombstone before his demise, a large bronze headstone depicting Richard as a figure leaping in an upward rush heavenward. It is entitled “Flight of the Soul” and is located in a Rockport cemetery. 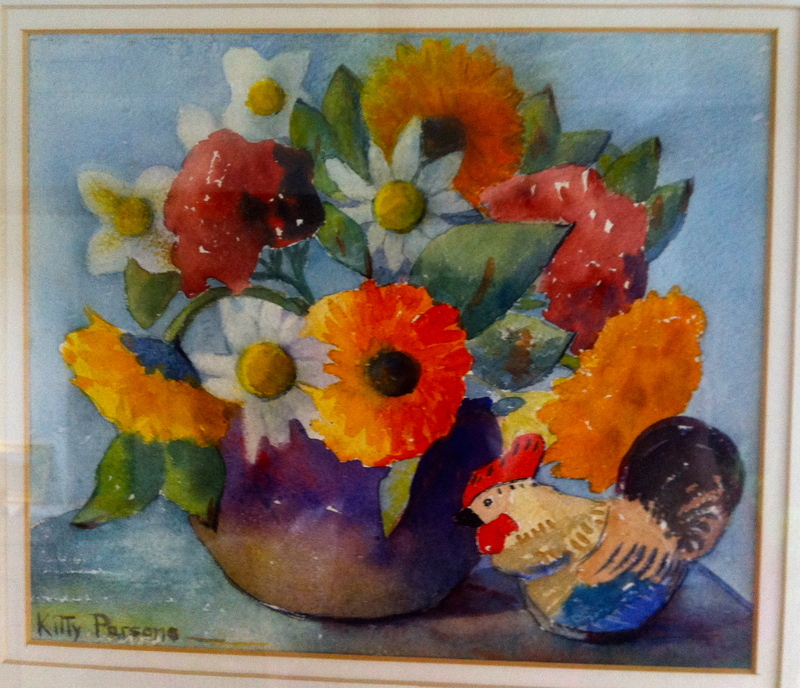 Although not widely known, both of these individuals made up a group of artists that lived worked and created art in a town at the end of a cape.